The Premier PKG Spanish-Language Digital Edition is Here! It’s arrived! PKG en español está aquí! 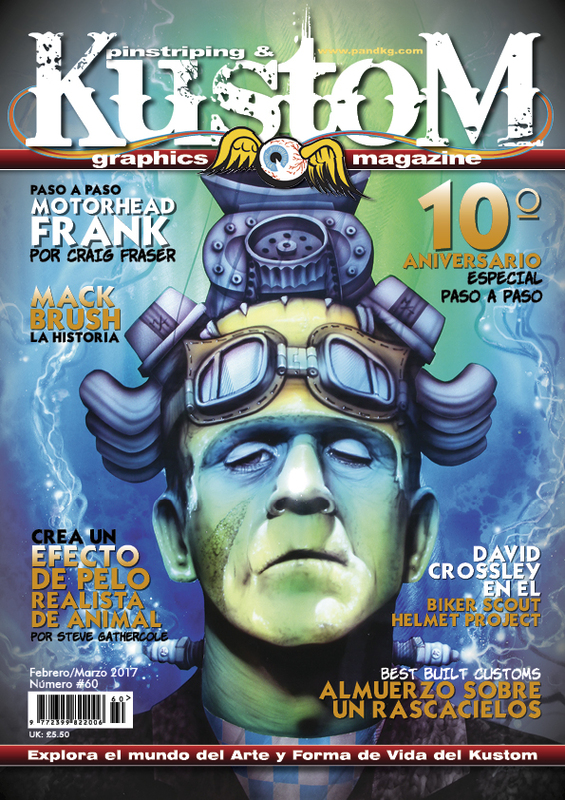 The first of many Pinstriping & Kustom Graphics Magazine digital edition in Spanish language has landed. > Get yours from Magzter now! Our 10th anniversary Issue #60 in Spanish language features; a step-by-step special with Sam Radoff – Craig Fraser’s Motorhead Frank – Mack striping brushes with Herb Martinez – Other artists include; Jahpix Kustom Art – Molly Moonshine – Shannon Ray Best – Retro and lifestyle contributor, Paul Waring, reports from Nashville Tennessee. > Get Issue #60 in Spanish language here! English your preferred language? Get your Pinstriping and Kustom Graphics Magazine here!